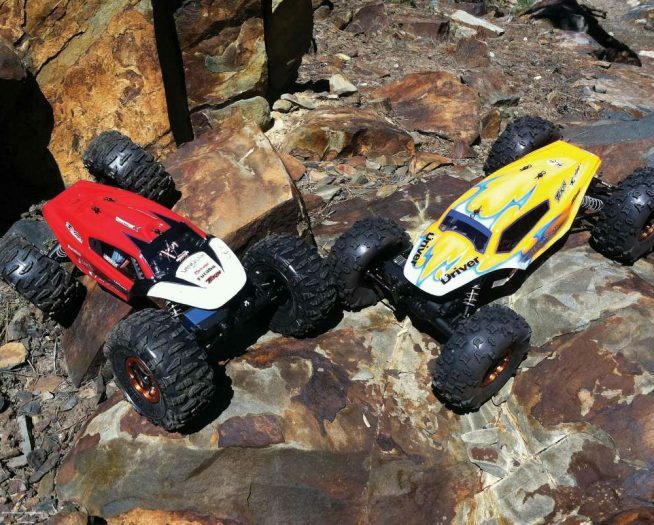 This article was originally published in RC Driver’s September 2015 issue. The idea for this paint job came together in a kind of roundabout way. I had tried an experiment with some soft masking using Mirror Chrome as the background color. It didn’t turn out as I expected, so I didn’t like it and gave it to my friend. I would rather not look at what I consider my failures. My friend loved it and took it to the track and it was very popular. Lots of people stopped to comment. He also said it was really easy to see on the track. He had been pestering me that I had to do another chrome body for the magazine, but I couldn’t do it until something clicked with me. Locally the indoor clay track scene has been exploding. Based on the current batch of RCs being released I would have to guess the same is happening around the nation. On the indoor tracks traction is at a minimum and there is very little run- up on the jumps, which is why mid-motor RCs are becoming dominant. 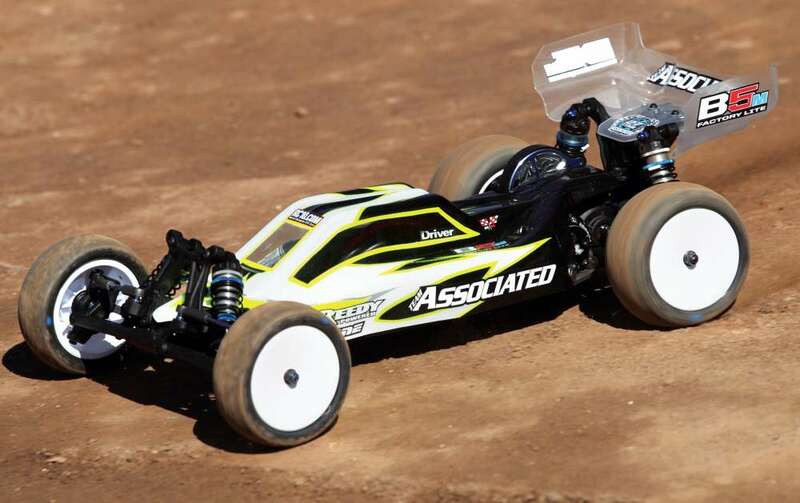 After the success of the B5M, Associated has followed up with the T5M, which I’m very excited about, as I got my start racing in the Stadium Truck class. 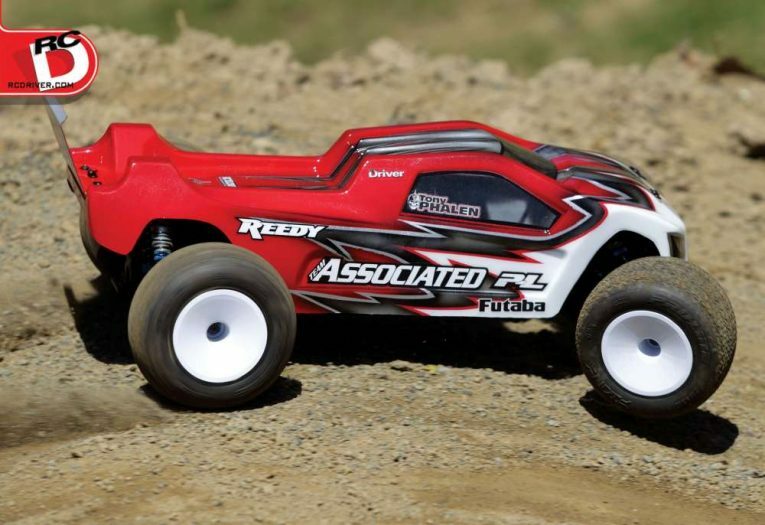 Associated teamed up with Pro-Line to have them produce this gorgeous body, that resembles a 1/8-scale truggy more than stadium trucks of the past. Chrome paint jobs really accent the body line and when I saw the lines on this body, I knew this was it, this was the body for the chrome paint job my friend wanted to see, but you know I couldn’t just paint it chrome. I had to do some kind of graphics! Here’s what came out. 1 After trimming out the body with a pair of Lexan scissors, I set it on the chassis to test fit it before I made my holes with a body reamer. Because of the position of the mid-motor transmission, the body mounts have been relocated all the way to the rear, which puts them right through the spoiler. This is actually a good thing as those spoilers are always getting ripped off and could use the extra support. But this also means you should go ahead and mount the spoiler too, so you can make sure the holes line up. After the body has been test fitted, give it a good scrubbing with dish soap and warm water to remove oils. Towel dry with a lint-free towel to avoid water spots. 3 I had no idea what to paint going into this, but when I was looking at the body lines on the side; I saw the scallop shapes and I decided they should actually be part of the graphic. So I started by tracing the body lines. Then I drew a scallop shape on a piece of paper and held it on the inside of the body while I traced it twice. The hood is more bubble shaped but I wanted to continue the scallop theme. Then I noticed how the bulges in the hood made a bat wing shape near the window. So I traced that onto a piece of paper and then traced it onto the body at the front of the hood. Then I traced several more scallops on the hood. 4 I started carefully cutting the graphics with the one that follows the body line with my hobby knife. Be careful not to press too hard and score the body, which would give it cracking points. After cutting all the way around I removed the liquid mask, being careful not to go too fast in case I missed any spots. I shaded around the edges with Fasescent Purple, making one narrow close pass, then backing off for a wider, softer pass. Then I filled it with FasPearl Charcoal and laid one lighter coat before going back over with my coverage coat. I then backed it with FasKrome, to make it opaque and add sparkle. 5 Now it is time to cut the next layer of graphics. If the paint is blocking me from seeing some of the lines, I just use a small flashlight to shine through. After cutting out the scallops, I carefully removed the mask, this time using the tip of my knife to get the mask started enough so I can get it with my nails. Then I filled the areas with FasPearl Blue, leav- ing it a little lighter in the cen- ter for a little depth. Then I backed it with the FasKrome. 6 Normally I don’t recommend mixing formulations of paint, but I’ve worked with the Spaz Stix Mirror Chrome and Parma paint before with excellent results. Do not try Spaz Stix’ other paints with FasKolor. The Mirror Chrome is a unique formulation. After cutting out the windows I removed the entire mask in the background. I then sprayed the chrome in several light coats. This paint is super thin and it might be tempting to spray it thicker, but be careful when spraying the Parma paints; if you lay it too thick it can wrinkle the other paints, but I have not had a problem. The chrome is semitransparent until backed with an opaque color, so don’t get too carried away, just make sure you have an even, reflective surface. 7 The Mirror Chrome on its own is a fairly deli- cate paint and needs a water based acrylic to back it up and protect it. FasKolor paints are perfect for that and black will bring out the reflective quality, but before laying the black I cut the trim around the windows. I also cut the bed area out of the overspray film, as well as the two little vents in front of the window so I could spray some black on the out- side. I then backed the entire inside of the body with a couple of good coats before spraying the outside areas. 8 Once I clean out my airbrush for the last time, I feel a tremendous relief, but I’m not done yet with this project. I still have to remove the over- spray film and window mask, install the spoiler, and cut out and apply all the decals. For me all this stuff is relaxing but it does take a little time. You can always add the decals while you’re waiting for your battery to peak off at the track. When I started racing, the popularity of the growing stadium truck class was killing the buggy class. Then later the popularity of short course trucks almost killed the stadium truck class, with a few diehards out there. 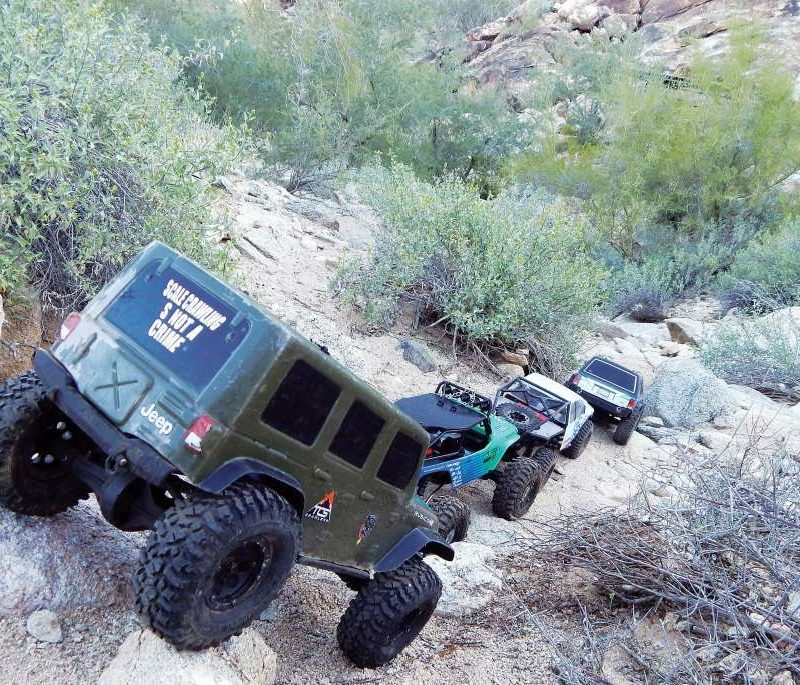 Then short course trucks brought more racers who eventually turned to 1/10-scale buggies. 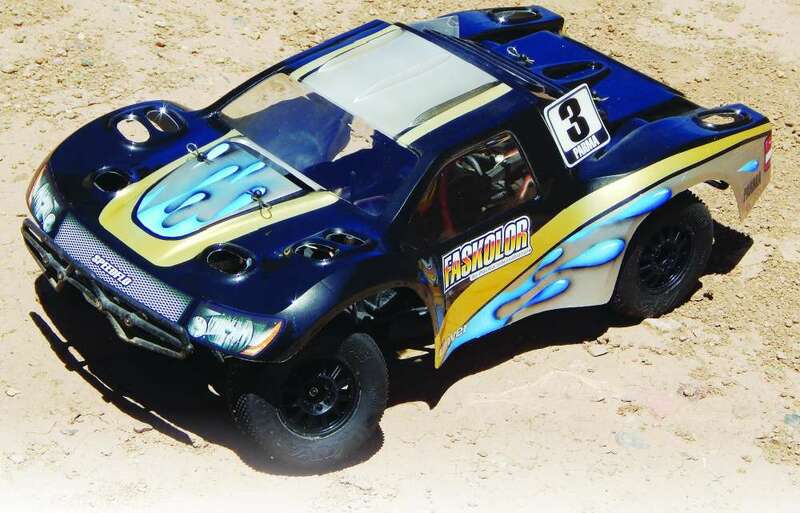 With the popularity of buggies on the rise we’re seeing more stadium trucks at the track, and now the release of the T5M. Kind of funny how things come full circle and I’m hoping to see a lot more stadium trucks at the track, as these have always been my favorite RCs to race.